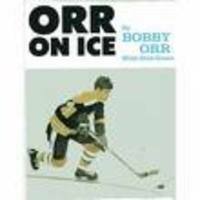 Rheumatology Hockey Hall of Fame- Gordie Ow! 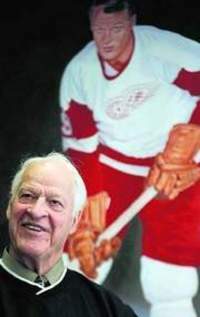 In an interview with the Detroit Free Press, Gordie Howe gives a list of his hockey-related rheumatological ailments. 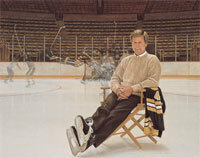 "Well, I have had both knees replaced,and that has put a damper on playing any more hockey or putting on the skates. My wrists have arthritis, and one I can't bend. My back often bothers me,and lately my left shoulder has a sharp pain. 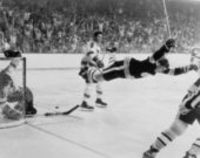 But you ask any hockey player whether it was worth it and they'll all say, Yes"." Probably true but you've got to wonder just how much Mario Lemieux would pay back to have a pain-free lumbar spine or Lindros to have his cerebral cortex back.